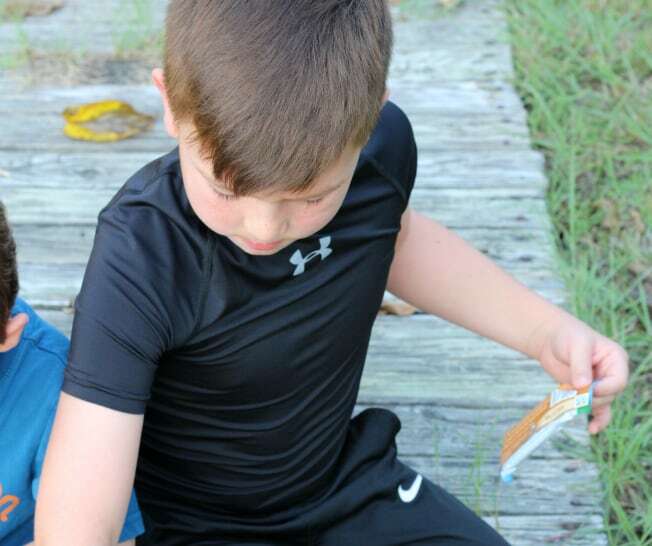 How To Begin Geocaching With Kids - And A Great Snack, Too! 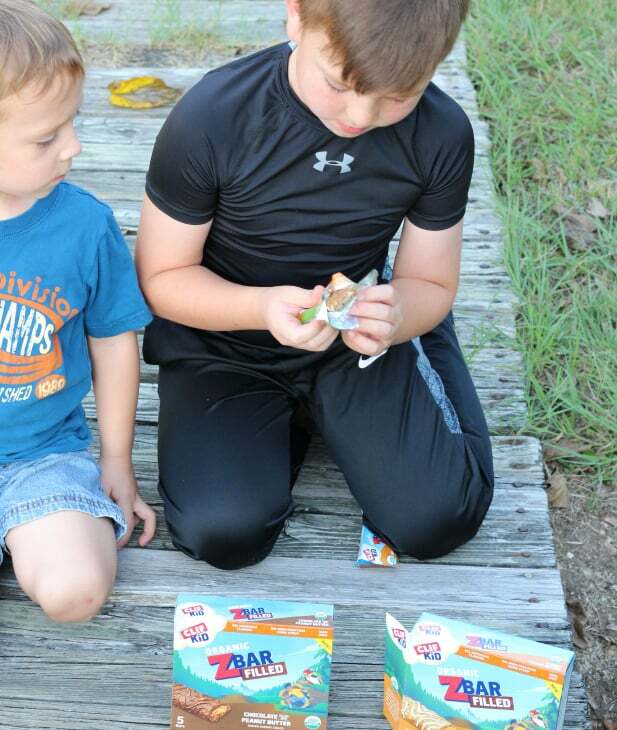 How To Begin Geocaching With Kids – And A Great Snack, Too! 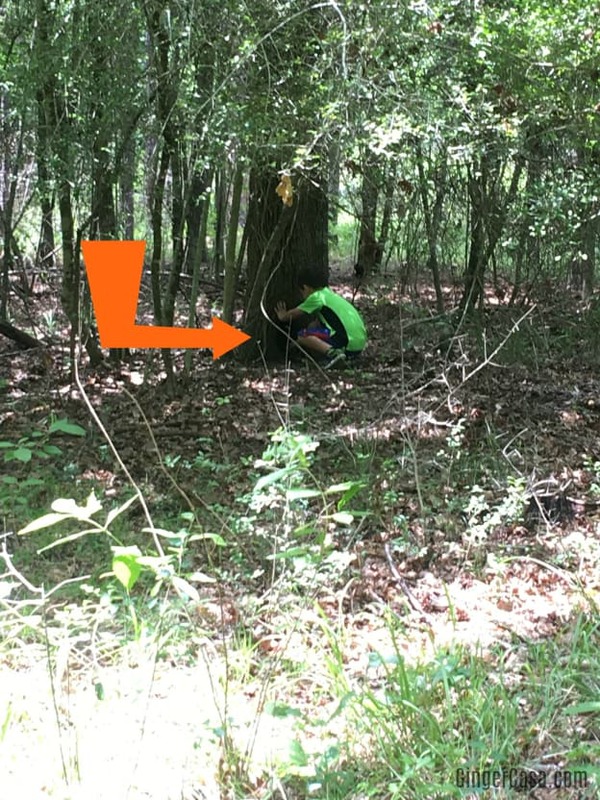 I had heard about this word – geocaching – many times. I had seen people post about it online, but I never really looked into it. Was it hard? How do you get started? 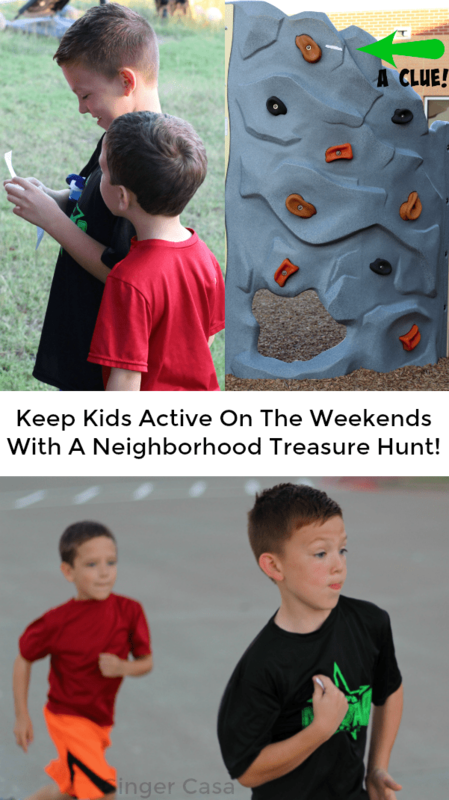 What I found out that it is VERY easy and FUN and the best part is….it is a great way to get the whole family outdoors and moving! The general idea is that people hide geocaches and register them at geocaching.com. Then, you will be able to find hidden geocaches in your area (or while you travel around the world!) Some are easy to find, some are hard to find, but you will use GPS and sometimes clues to find what you are looking for. 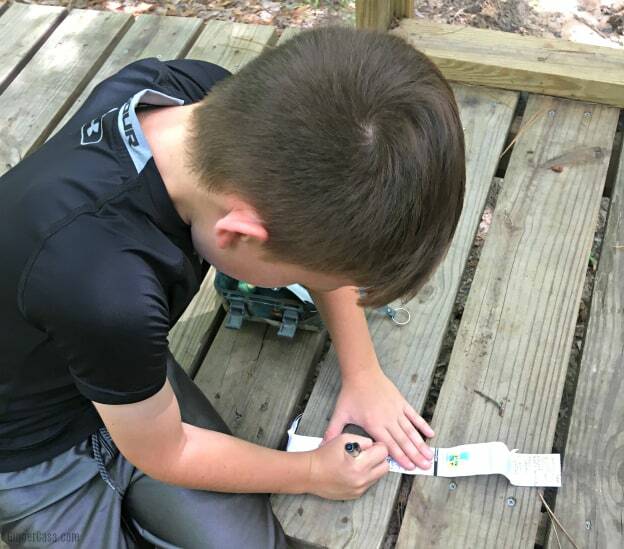 A geocache is usually a small, waterproof container that contains a notepad or piece of paper and sometimes a pen and other objects. It can be big or small, and that’s part of the fun! You never know what exactly you are looking for. You open it! Then, you sign the notepad or piece of paper and date it. We always like to see who was last here and when. 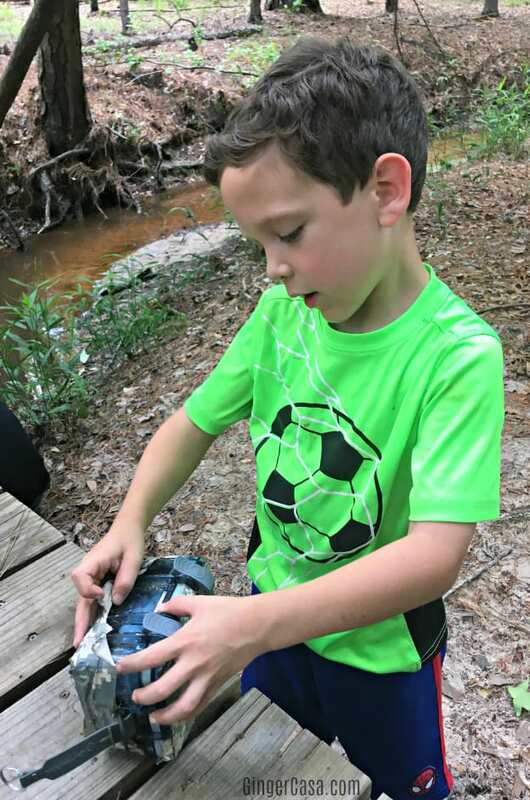 Funny story…the very first time we went geocaching, I just decided to do it one night when my oldest was at soccer practice. It was fun for the two younger ones. Well, we happened upon the geocache location at the exact same time as two teenagers who were looking for it as well. And when we opened the box, we discovered that no one had signed the book in TWO months. So crazy! Where Can The Geocaches Be Hidden? Simple answer – anywhere but buried in the ground. We have found them under small wooden bridges over little streams, strapped to a tree or in a tree trunk. It is always SO exciting to find something that we have been working hard – TOGETHER – to find! This is the easiest part, but it’s the most necessary. In order to find the different geocaches, you will need to know where they are and how to find them. There is a lot of walking involved in geocaching. 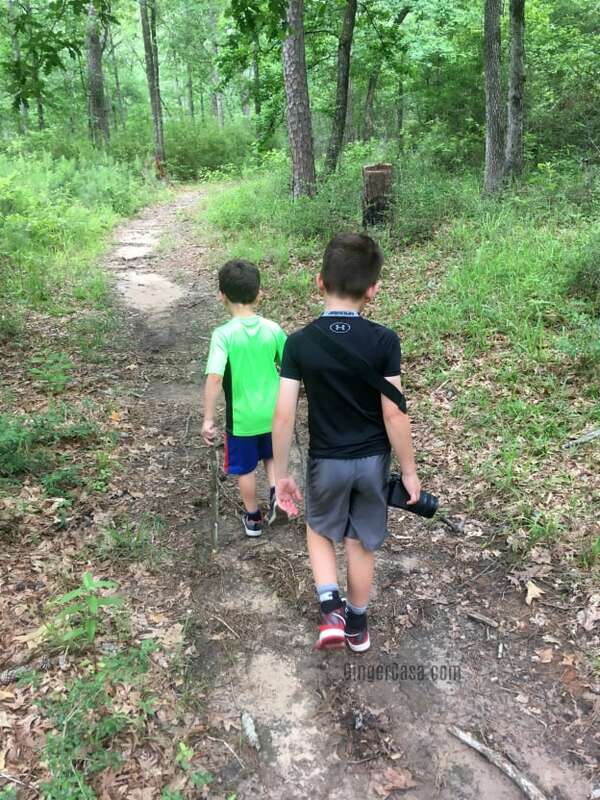 You and your kids will be searching high and low for sometimes tiny geocaches that are potentially hard to find, so make sure you are dressed comfortably, from your head to your toes. This is the part that I always forget. Sometimes geocaches have pens included, but most of the time, they do not. You will not be able to sign your name without a pen! If needed, put on sunscreen and/or bug repellant. This is pretty self explanatory, but you should always pack some sunscreen and bug repellant, just in case. One time we were in a forest and I said we wouldn’t go off the trail but the desire to find that geocache got the better of me and without bug repellant, alas, a tick found me. Lesson learned! Pack some water and snacks. You cannot really follow a schedule when geocaching. 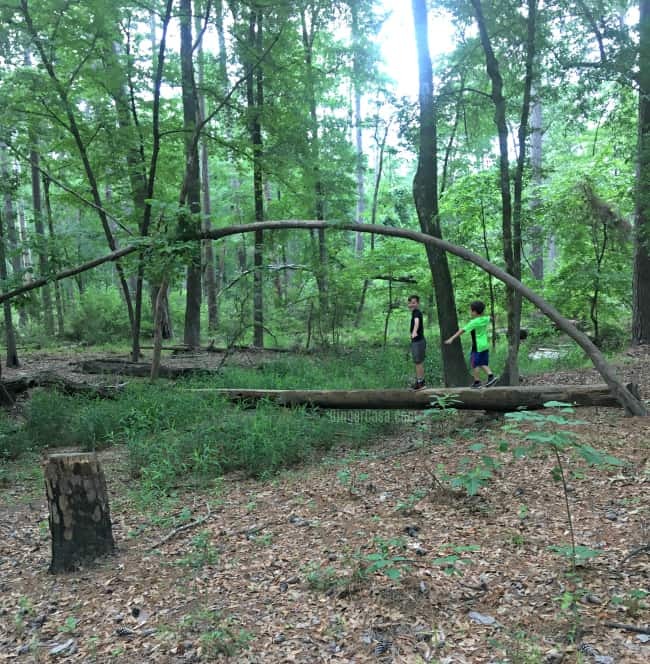 Sometimes it takes three times as long to find a geocache than you had planned for, and that is when kids get hungry and thirsty. Make sure you have plenty of water and snacks, packed in a comfortable backpack, to keep everyone happy. Make everyone happy? How do you do that when you have three kids with likes and dislikes and even allergies. 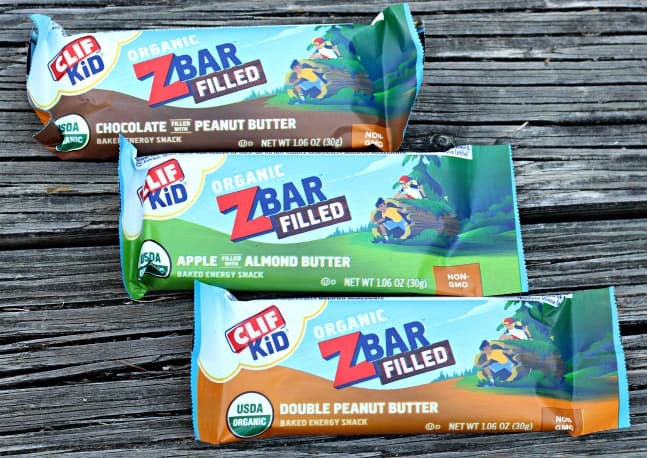 I like to take a stash of CLIF Kid Zbars, because there is something for everyone! Our eight year old loves the Double Peanut Butter and Chocolate Peanut Butter, but our little guy can’t have peanut butter, so he is usually left out, but not with these Zbars. 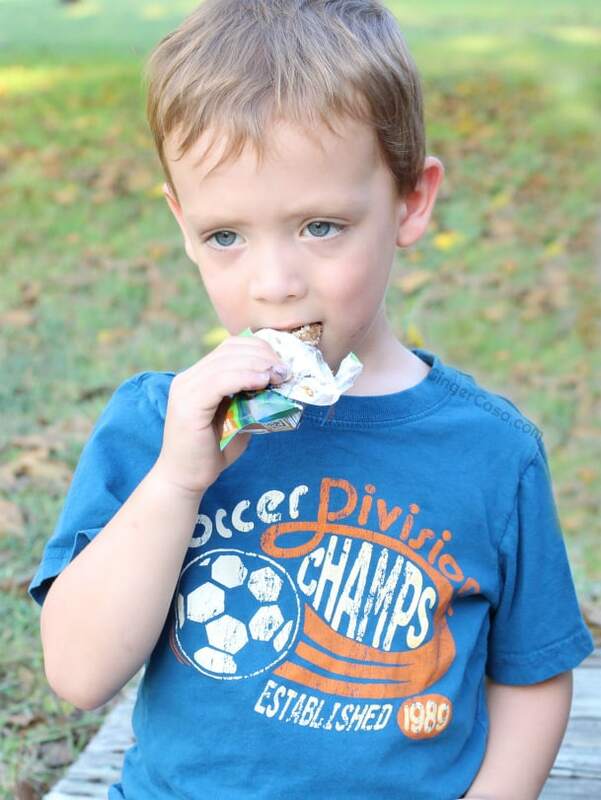 He is such a fan of the Apple Almond Butter CLIF Kid Zbar Filled! 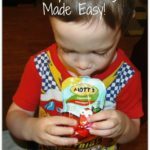 Zbar Filled is easy to pack, easy to open, and fun to eat! It is the first and only organic soft-baked snack bar with smooth, creamy nut butter filling. 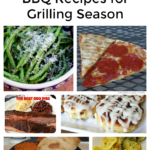 Moms like me can love the nutrition packed in a Bar Filled, too! 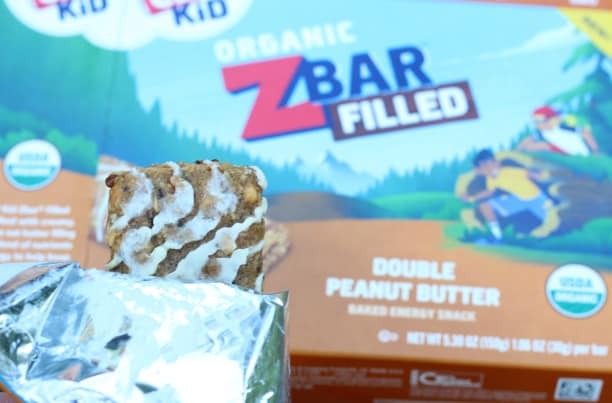 Zbar Filled is filled with nutritious ingredients like oats and nut butters, certified USDA organic and non-GMO, and free from ingredients that parents like me are looking to avoid when feeding their kids, like high fructose corn syrup and artificial flavors. What big adventures will you go on with your kids? 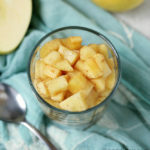 Don’t miss this fun family activity! Geochaching is something that has always interested me. I have an Aunt who goes every day and finds at least one geocache. She’s trying to do a year challenge and not miss one day of finding a cache.Looks like all of you had fun! Hiking is always a favorite in our family. I love the geocaching. We have yet to do it, but I think it would be a lot of fun. We used to go geochacing with my sister and her kids. I haven’t taken my own kids to do it, but I know they would looooove to explore and go on a treasure hunt. Geocoaching is so much fun! Thanks for the tips! 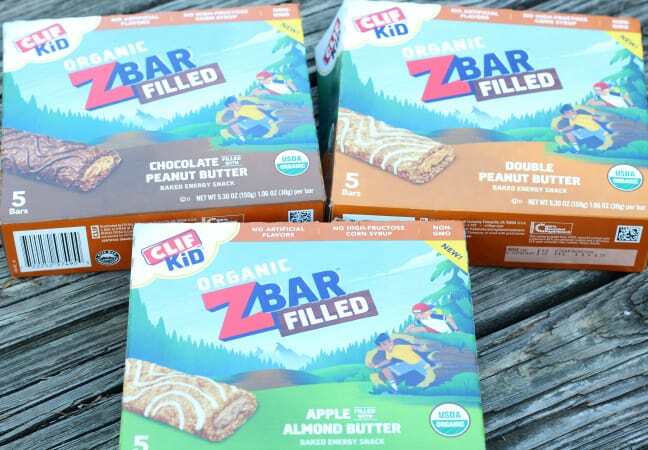 Those Zbars look delish – I bet the kiddies loved them! We’re lucky that there’s a few in the park a block away. Been a while since we checked them, we need to go back again!